Liviu has been investing in the youth generation for over 14 years. 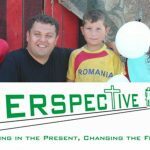 PerspectiveDanes combines his experience and skills as a youth pastor from Manna Church with the social worker abilities he acquired through the Veritas organisation. With the support of his wife, Elena, and her 15 years experience as a teacher, Liviu desires to build a team that will focus and take necessary actions to respond to communities’ material, emotional, educational, and spiritual needs. 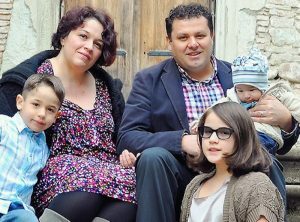 Liviu and Elena have three children, Claudia, Thomas, and Matthias. Danes is a village right in the heart of Transylvania. The population is approximately 5,000 people, 1000 are part of the Roma Community. The majority of these people are living hard lives. Many do not have a permanent job. A big feature of the children of these families is that they leave school very early, poverty being one of the reasons for this. Young people are tempted by the illusion of working abroad; in this was they end up doing things that make them vulnerable to becoming criminals. PerspectiveDanes wants to develop a Community Centre with three programmes, a preschool education program, a teenage program, and Bible studies.